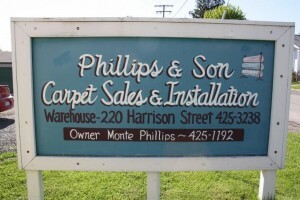 Welcome to the online home of Phillips and Son Carpet Sales and Installation, serving Ohio, West Virginia, and Pennsylvania. Owner Monte Phillips and son Kevin, along with their team, have almost 100 years of combined experience. When it comes to quality flooring, be it carpet, laminate, tile, or vinyl, we do it all for a price that is hard to beat. Our warehouse, located in Barnesville, Ohio, has anywhere from six to seven thousand samples at any given time.